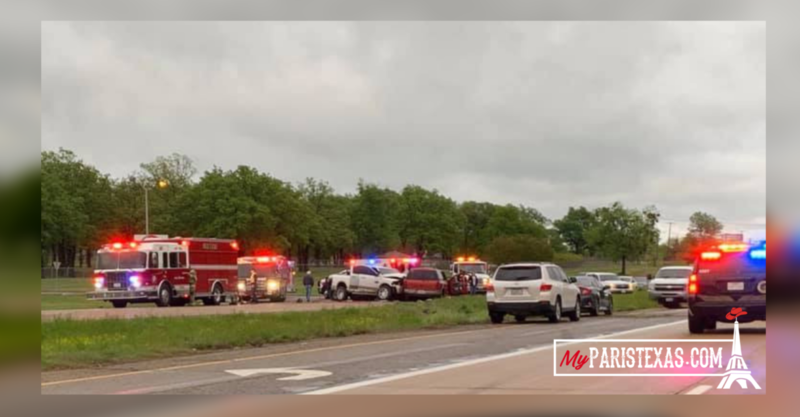 Paris Police responded to a 4-car accident in the 500 block of NW Loop 286 at 5:53 p.m. on April 13, 2019. “It was reported by witnesses that a 2001 red Ford Expedition, driven by 55-year-old Jacinto Valentin Santiago, of Paris, was driving eastbound in the 500 block of NW Loop 286 and veered to the left, crossed the median, and collided head-on with a 2014 white Dodge Ram 2500 driven by a 17-year-old male; also from Paris” said Officer Garrett. After the initial collision, two more vehicles that were westbound were unable to stop. Both became involved in the accident. Multiple injuries were reported but only two were transported to PRMC for treatment.